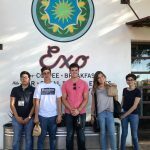 This exploratory program supports research on musicians and music venues in Ambos Nogales. 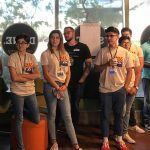 A collaboration between DJ Dirtyverbs and BorderBeatz, it aims to create opportunities for young musicians and DJs and amplify border sounds in Nogales and beyond. Currently in research phase, this program will eventually offer workshops to youth and convene concerts. DJ Dirtyverbs uses cumbia and global bass as a lengua franca to connect communities and cultures on the dancefloor. Dirtyverbs (aka Logan Phillips) got his start playing backyard parties and mezcal speakeasies in Cuernavaca, Mexico in 2007, after falling in love with cumbia sonidera in Querétaro in 2003. 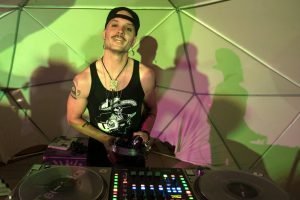 Born and raised in the Arizona-Sonora borderlands and now based in Tucson, Arizona, Dirtyverbs has been a resident DJ at Tucson’s historic Hotel Congress since 2012 and is lead organizer and host of El Tambó (“Best Danceparty,” Tucson Weekly). He DJ’s and hosts at a number of Arizona’s keystone cultural events, including the All Souls Procession and the Rialto Theatre’s New Years Eve Party, leading both events annually since 2013. In addition to DJing, Logan Phillips works as a writer, educator and performer. 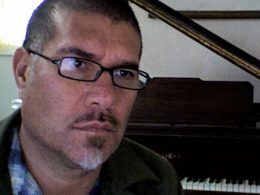 Gustavo Lozano is a musician, producer, and educator in Nogales, Arizona. He mentors young musicians through production studio program at EdOptions High School. He offers classes in basic music theory, technique and musicianship skills for guitar, piano, drums and voice; and leads and coordinates music sessions about recording techniques, songwriting and music production. He encourage commitment, discipline and originality in order to create unique songs, and is responsible for preparing and directing school presentations from the rock band and producing students original songs. He is the director of Borderbeatz, an equipped recording studio audio recording, mixing & mastering, songwriting/artist development, session musicians, music production & arrangement. As part of Soundscapes, he’s offering 5 hours a week of free studio time to young Nogales artists.